Tibet, it lies in a most sensitive area with restricted zones declared at each approach. 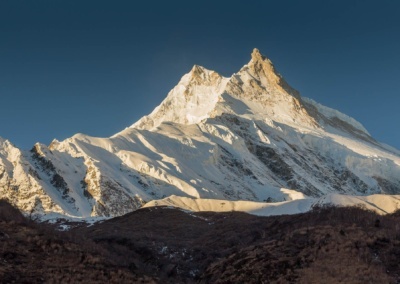 With Kanchenjungabeing opened for foreigners to explore only since 1988, vast tracts of foothills and alpine country, whichlies between the Arun valley and Tamur Rivers, are now waiting to be explored. The trails climb gradually along and crossing Tamur River, which rises from the snows of Kanchenjunga itself. Kanchenjunga North and Kanchenjunga South treks by crossing the Mirgin La 4630m pass the Lapsang La 5160m. The two trails split just south of Ghunsa, near the bridge over the Yamatari kola. The trail to Mirgin La crosses the stream and climbs the ridge to the south. This is the safest and easiest route but you must still haul yourself over five passes. The trail climbs the Tamo La 3900, the Sele La 4115m the Sinion La 4660m, the Miring La and finally the Sinelapche La 4724m. Most group stop for the first night by a hut at Sele La, continuing to meet the Kanchenjunga South trail at Tseram or Yalung Bara the next day. Crossing Laspang La is a much more serious proposition. There is no regular traffic on this route, so you may have to forge a new trail, following a broken line of snow markers. 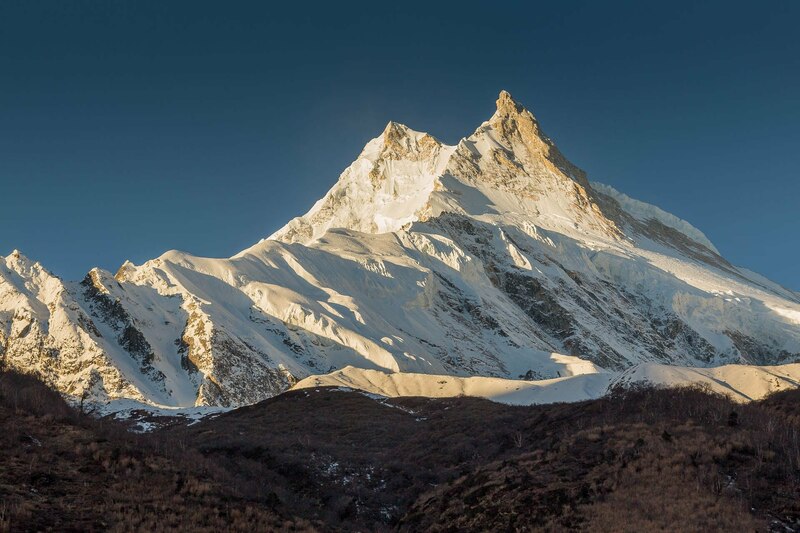 The Lapsang La is frequently blocked by snow between November and May – enquire locally about conditions on the pass before leaving Ghunsa. 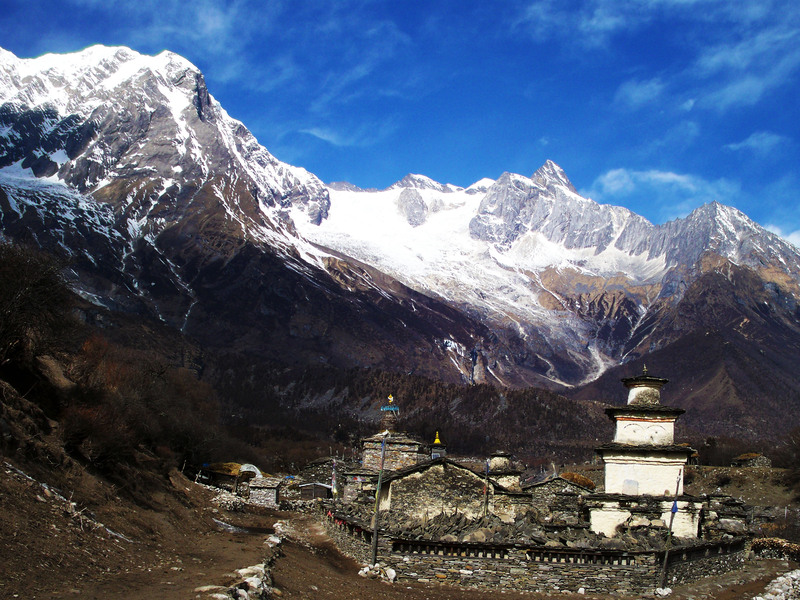 To reach the Lapsang La, follow the hillside to the north of the Yamatari Glacier to a camping area to Lumga Sampa 4206m. On day two, make the steep climb over the Lapsang La and drop down to meet the Kanchenjunga South trail at Lapsang 4430m. You should be able to reach Ramche 4620m by nightfall. The Kanchenjunga area trekking is started in 1988. The Kanchenjunga region is the home of the Limbus. Relatives of Rais, Limbus dominate the region east of the Arun Kosi and few lives elsewhere. During this trek, one is bound to have an unforgettable experience of difference that can not be found elsewhere in the world. 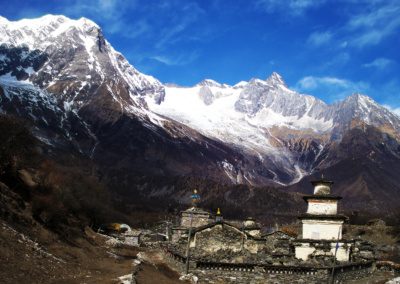 This trekking is considered as the paradise for the adventure lovers. Kanchenjunga trek begins Kathmandu to Suketar (directly if flight opened this time) or Fly Kathmadu to Biratnagar and second day Biratnagar to Suketar. So there may go fare expensive. If flight is an expensive you think you can reach Taplejung on private bus of local bus but local buses are dirt and not directly to your destination. Kanchenjunga, the third highest peak in the world lies on the eastern border of Nepal with India. 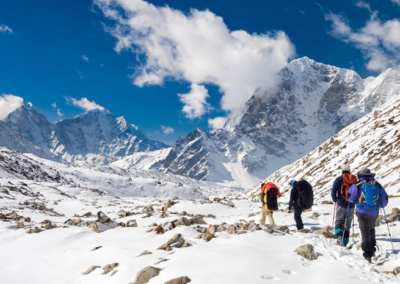 Kanchenjunga trekking provides you to experience the remoteness of this region, romantic mountain views, diverse flora and fauna and rich local culture. Kanchenjunga trek is considered as a non-technical trek and suitable for average people. If you are moderately fit and have a sense of adventure will enjoy this trek. The program is designed to acclimatize you gradually and not expected high altitude sickness. However you are requested to check your altitude fitness and the itinerary. We suggest you to strengthen your knee muscles and prepare for several days of steep descents. Some physical fitness programs such as running, swimming, biking or aerobics is recommended, but mostly hiking on steep hills or running up and down steps are preferable. Please note that the following program is prepared in the fact basis however can be change in some circumstances but adjustments will have to made during the trekking. We request you to be flexible with the situation to enjoy yourself. As the Kanchenjunga trek is designed for camping arrangement, everything is handled by our team of porters, sherpas and cooks who carry the equipment, assemble and dissemble the camp and have hot meals waiting for you at every food break. Day 01 Arrive in Kathmandu International airport MTM staff meet & drive to hotel on bb basis. Day 02 Full day Sightseeing Kathmandu valley Boudhhanath, Pashupatinath, Patan City and Swoyambhunath. O/N in Hotel on bb basis. Day 03 Fly to Kathmandu – Suketar and meet all field staffs and trek to Lalikharka. Day 19 Morning Fly to Suketar – Kathmandu. Transfer to Hotel on bb basis. Day 21 Drive to International Airport fly to ….